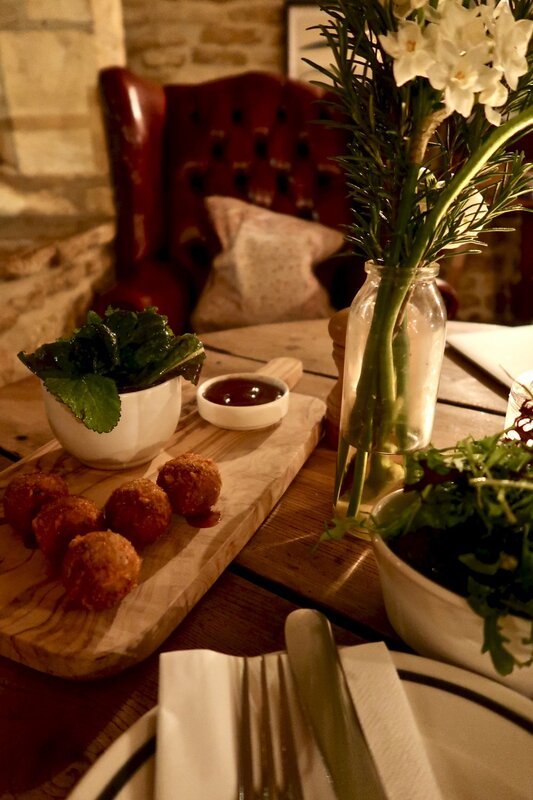 Described by some as "the poshest pub in the country", The Wild Rabbit has a lovely traditional feel with a modern twist. The name is a nod to its original title: Conygree Farm – an Anglo Saxon word meaning rabbit enclosure. 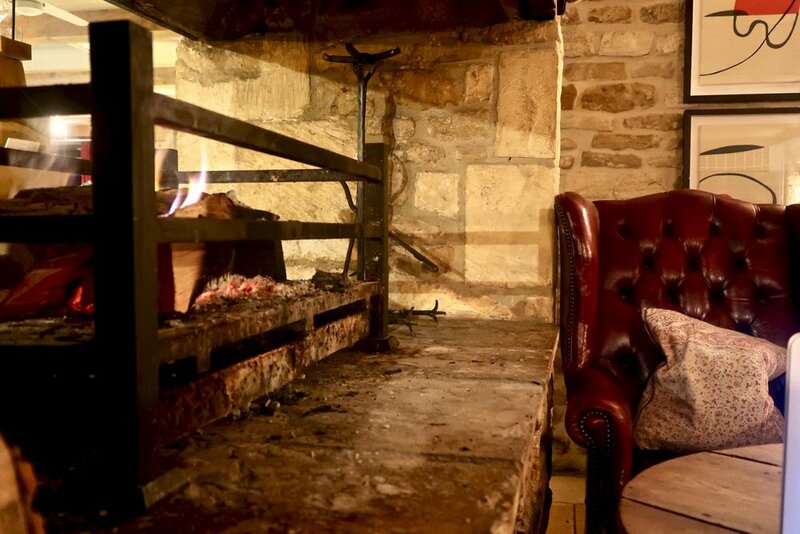 More recently it was the Tollgate Inn; a building constructed in Cotswolds stone with beautiful proportions, known for its convivial atmosphere and unusual double fireplace. Having never visited The Cotswolds before (it's true!) it really is so very pretty. If you imagine a typical 'chocolate box' country spot, you won't be disappointed as that exactly what you'll find. 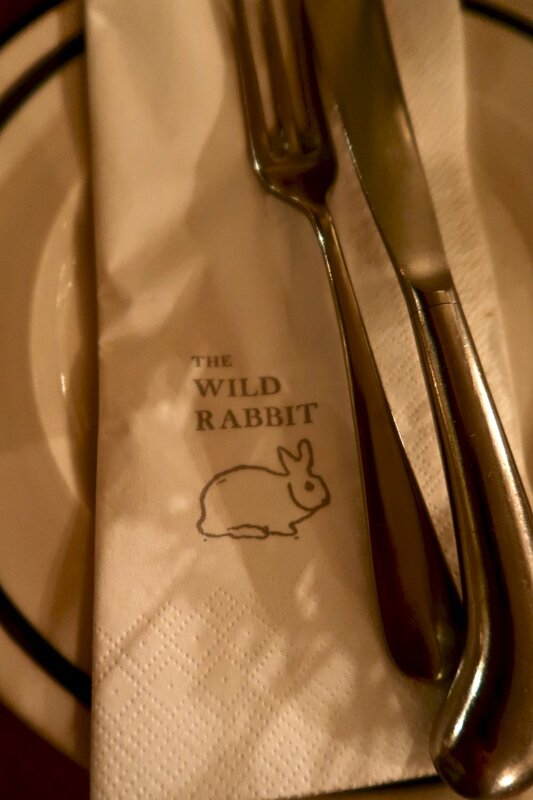 The Wild Rabbit is part of the Daylesford estate, nestled in the heart of The Cotswolds in the village of Kingham. 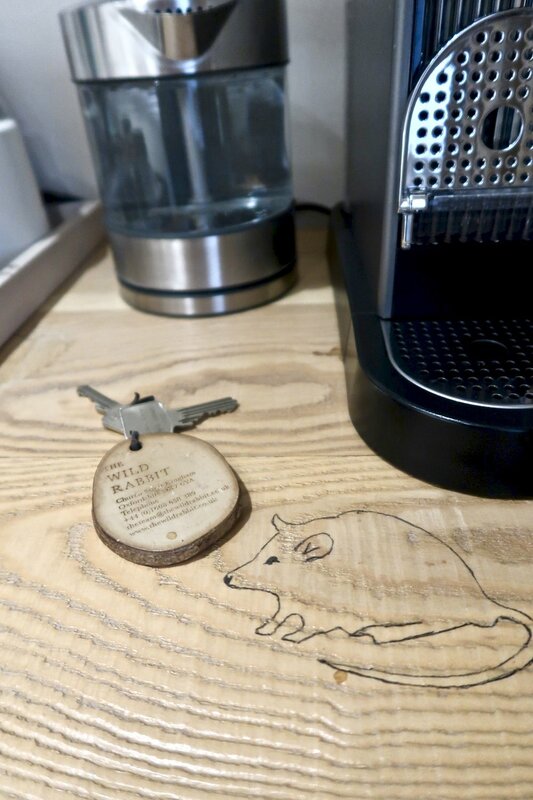 The principles that have guided the farm for 40 years are also at the heart of everything they do at The Wild Rabbit – from the locally sourced, organic ingredients in their kitchens, to the handmade horsehair mattresses in their bedrooms. Work on The Wild Rabbit began in March 2013. Their aim was to open out the space and let in natural light, to strip back the layers and reveal the bones of the building. Working with a team of experienced craftsmen, they have succeeded in creating a contemporary working building using centuries-old techniques. The bar area of the pub has that lovely country pub feel, with lots of exposed brick & wood as well as a big roaring fire. Doesn't get much more perfect than that. The main dining room is cosy it's best to book ahead to secure a table. The menu is full of local produce and, as you would expect, a reasonable amount of game is on the menu as well. Having nabbed a table by the roaring open fire, I opted to stay in the bar and eat from the bar menu. Supper by the fire in the heart of the countryside - something I could most definitely get used to. The menu for the bar is a paired down version of the one on the offer in the main dining room, but there is still plenty to choose from. Tables can't be reserved in the bar, but on a Thursday night I didn't struggle to get a table. The kitchen starts serving at 7pm and things definitely started to get busier as that time approached. If you chose to stay, breakfast is included in your room rate and is served in the main dining room. There was a selection of pastries, fruit & yoghurt as well as a hot breakfast option which was all included. 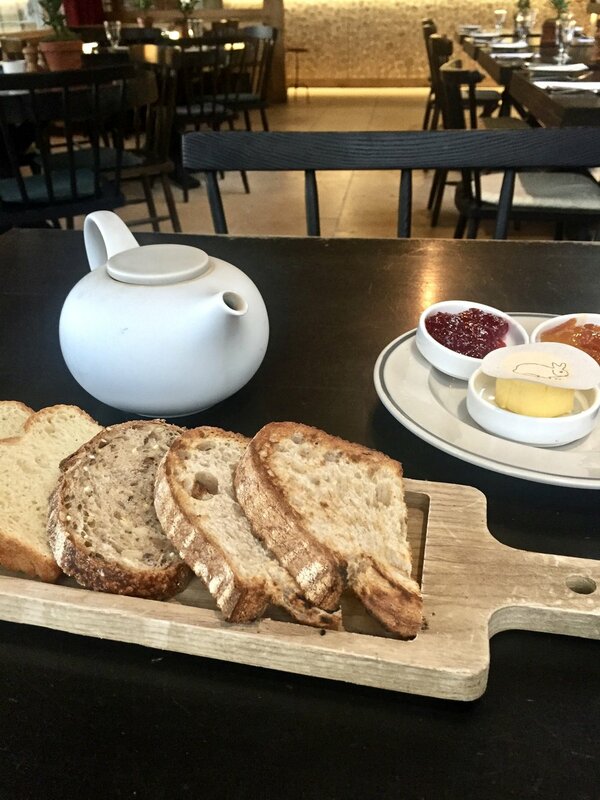 One of the touches I really liked was once my hot drink order had been taken, my waitress made toast from an interesting selection of bread and brought it straight to the table with fresh Daylesford butter and preserves and I hadn't even had to ask for it. I went for Porridge and was pleased to be offered the choice of having it cooked with milk or water and served with a fruit compote or without. Each room is individually decorated and named after a woodland animal. I chose The Mouse room, billed as a small double, the room itself is small but the bed is HUGE!! It was as wide as I am tall so that puts it at 5'6"! My key criteria was to have a bath and I was pleased to see every room has a bath. Homemade biscuits, a kettle with a selection of delicious teas, a Nespresso machine & lovely linen dressing gowns add to the cosiness of the room. I fell in love with the bedding which was linen. I've never had linen bedding before as it's always so pricey but perhaps if I spot a sale bargain, I might treat myself. The curtains were really heavy and thick which was very welcome as the draft coming through the window was significant. Luckily, the curtains & heating did their job and it did not affect my stay at all. Unfortunately, on the occasion, the heating in my bathroom was not working so it was a little cold in there, but again not enough to dampen my love for the place. I can honestly say, it's one of the nicest places I've stayed for a long time. I loved the whole vibe of the place - the decor, the staff, the cosiness, the food. I could go on but that would be boring! Having never been to the Cotswolds before, I can now see what all the fuss is about. I've totally fallen in love and am already thinking about when I can go back. Maybe next time, I will combine it with a cookery course at Daylesford?